Data SRAM up to 30KBytes. 40 MiPS for fast math operations. Low cost and low power. 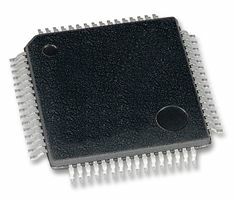 All standard µP functions, except internal EEPROM. Memory, OLED/LCD/touchpanel and other peripheral interface. Pattern recognition requiring DSP functions. DSP project with MP3 decoder and SDHC, USB interface, OLED and user controls.